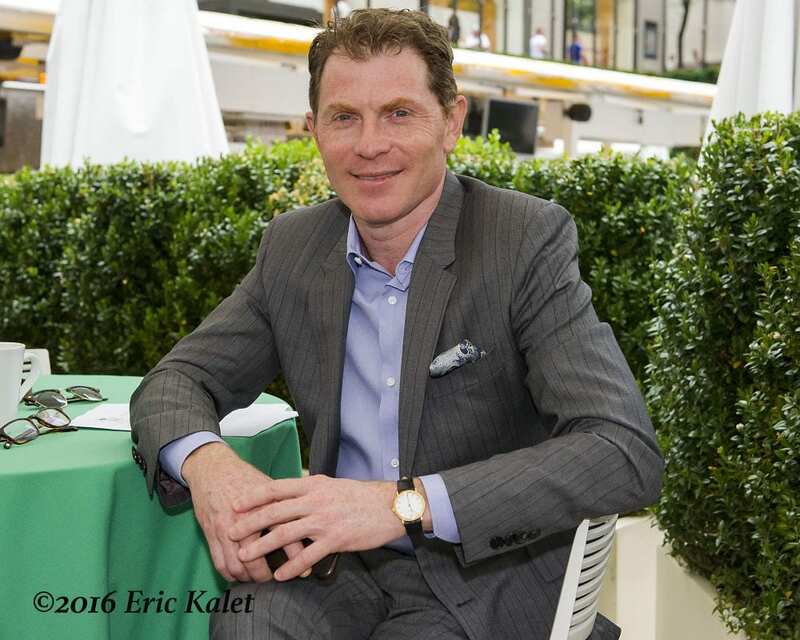 Iconic American chef and restaurateur Bobby Flay has built an international reputation on quality ingredients, and it is clear that his European bloodstock portfolio, which Tattersalls December is extremely proud to offer for dispersal, has been painstakingly created with the same attention to detail. Mr. Flay's dispersal, which is consigned by Baroda and Colbinstown Studs, features three mares in foal to the finest European stallions, two racing or broodmare prospects, including a daughter of Galileo from an exceptional family, and foals by three of the hottest sires in world racing – Dark Angel, Frankel, and Invincible Spirit. This outstanding boutique draft represents only the European arm of Mr. Flay's bloodstock holdings and he remains fully committed to owning, breeding and racing at home in the United States. The mares scheduled for sale include Auld Alliance, a stakes-placed daughter of Montjeu from one of the historic Classic-winning Ballymacoll families. Auld Alliance's War Front filly sold for 550,000 guineas at last year's Tattersalls October Yearling sale, Book 1, and the mare is being offered in foal to Frankel. This impeccably assembled draft features some of the most exciting names in European breeding and represents a wonderful opportunity for breeders across the globe to continue the work begun so masterfully by Flay, as well as the chance to obtain rarely-available bloodlines of international importance. This entry was posted in Bloodstock, NL List and tagged auld alliance, ballymacoll, bloodstock dispersal, Bobby Flay, dark angel, dispersal, Europe, Frankel, galileo, invincible spirit, montjeu, Tattersalls, Tattersalls December, war front by Edited Press Release. Bookmark the permalink.